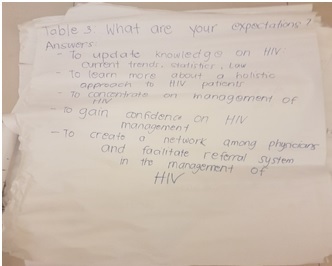 What is the HIV Primary Care Workshop? The rapid and consistent increase in the new cases of HIV in the Philippines calls for an equally aggressive response from medical providers to provide adequate care. The current gap in HIV healthcare is seen in the need to provide continuing professional development to the not only the frontlines of the fifty (50) treatment hubs and twenty-five (25) primary care facilities catering to more than 50,000 PLHIV all over the country — but also to the doctors not working in these institutions, but who see patients with HIV (diagnosed or undiagnosed) everyday. By enhancing HIV knowledge of every doctor in the Philippines, we will be able to diagnose early, link to care, improve health outcomes, and improve PLHIV quality of life. 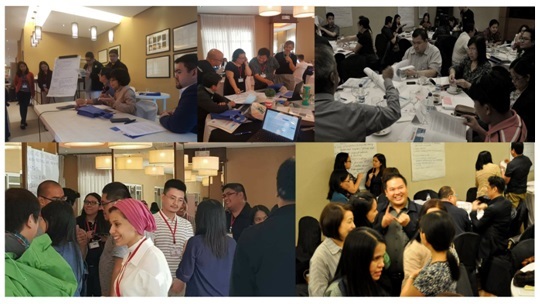 In an effort to bridge this gap, Sustained Health Initiatives of the Philippines (SHIP) and ID experts from the Foundation for the Control of Infectious Diseases (FCID) of the Philippine General Hospital created the HIV Primary Care Skills Upbuilding Workshop. The objectives of this workshop are (1) to increase the skills of healthcare providers in the recognition of HIV, and (2) to enhance the practice of primary care. The first of its kind, it does away with the traditional lecture format of the past, and involves interactive learning experiences with collaborative tasks and case-based learning. Initially held in 2015 and 2017, it was led by an experienced international facilitator and had the best of specialists and experts in field of HIV, public health, gender & sexuality, law & human rights. The past attendees of the workshop were physicians and nurses active in HIV care. Future plans for attendees of the workshop are (1) the creation of a web-based network for referrals of difficult cases and linkages to allied medical services, (2) measurement of the impact of the workshop on attendees’ clinical practice and patient outcomes, (3) expansion of the workshop to healthcare providers in social hygiene clinics , to peer educators and advocates from community-based organizations, and to healthcare providers involved in migration work and the BPO industry, and (4) production of motivational round-table discussions (ex. SHIP talks) related to HIV healthcare to continually inspire our frontliners. READ NEXT: Meet this year’s workshop experts!